The Mets are 1-0 to start the 2017 season. 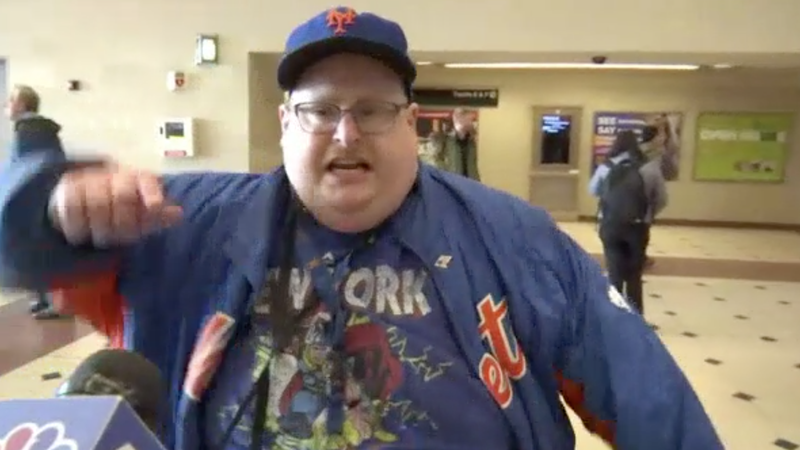 Some Mets fans are irate. A morning rush hour derailment at Penn Station (no one was seriously injured) sent ripples of train delays around the greater New York area yesterday, which just so happened to be Opening Day. Among those affected was Frank Fleming (en route to Flushing): Mets fan and rousing orator. He’s absolutely correct that NJ Transit is the “absolute worst” and also “incompetent,” but he didn’t end up missing the game. Fleming later updated NBC New York to say that although he missed the first pitch, he did eventually get to see the Mets beat the Braves 6-0.“If they would have lost, that would have been just the cherry on top,” he said. There’s always next game, Frank.